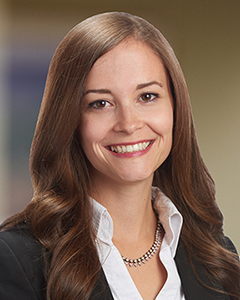 Kelly B. Nyquist | Workers Compensation Defense Law in Minneapolis, MN | Fitch, Johnson, Larson & Held P.A. Represented railroad employees in personal injury actions under the Federal Employers Liability Act (FELA) as well as in whistleblower actions under the Federal Rail Safety Act (FRSA). Assisted attorneys in legal research and writing in multiple areas of civil litigation, including construction law, personal injury, bankruptcy, property tax appeals, and transactional real estate matters. Certified student attorney, prosecuted misdemeanors on behalf of the City of St. Louis Park. Negotiated plea agreements with pro se defendants and conducted traffic trials.